Are you capturing the real value of M&A? Jadeja Partners is proud to announce the launch of “MergeAssist,” an advisory firm focusing on maximising ‘the value of the deal’ for accounting and financial advisory firms involved in M&A. MergeAssist has been constructed on the foundation of the long-standing business relationship between Magnus Yoshikawa, Director of Jadeja Partners and Dale Crosby, Senior Advisor with High Tech Soft Touch. Since its inception, Jadeja Partners has completed over 600 M&A transactions in the Accounting and Financial Planning space. During this time, we have gone through our own succession and change. 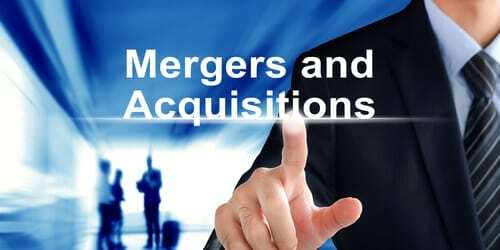 We are aware of the trials and tribulations that can appear with M&A and believe true success is only achieved through a well formulated strategy and plan for transition. MergeAssist has been formed to help stakeholders tackle all of the impacts of the “deal’ – whether it’s a Merger, Acquisition or Demerger – and reduce the stress of transition. With their combined experience of over 20 years working with accounting and advisory firms, Magnus and Dale will help you to ensure that the value of your merger or acquisition is maximised. From strategy to staffing to workflow, clients, IT systems and even through to IPO (if that’s your intention), we’ll help you keep an even keel during and after Mergers, Demergers, Acquisitions and more. As always, Jadeja Partners continues to provide the highest level of advice on Divestments and Acquisitions. And High Tech Soft Touch is always available to help you with transition and change management strategies. For more information don’t hesitate to call either Magnus or Dale on 1300 621 883.